I’ve commented before on what a wonderfully simple and inexpensive activity birding can be. The only essential tools are binoculars and a field guide. That’s still as true as ever. But in this column I’ll highlight some additional resources that can elevate your birding skills and, hopefully, your enjoyment of the hobby. Let’s start with two books: “Sibley’s Birding Basics” and “Pete Dunne on Bird Watching: The How-to, Where-to and When-to of Birding.” These recently published paperbacks are loaded with good advice for beginners and beyond. Make a point to read at least one of them. A third book, “The Complete Birder” by Jack Connor, is also well worth a look, especially if you’ve been at this for a while. “All About Birds” is a terrific online reference offered free by the Cornell Lab of Ornithology. Imagine your field guide with sound. More than 600 species are highlighted. Go to www.birds.cornell.edu/allaboutbirds/birdguide. If you have an e-mail account, consider signing up for IBET, a statewide list-serve where birders report their sightings and share other useful information. The network provides opportunities to see more birds, including rarities like the pileated woodpecker that visited DuPage County in June. But just reading the incoming messages is valuable—you’ll learn what birds to expect at different times throughout the year, and the best places to go see them. To sign on, send a blank e-mail to ILbirds-subscribe@yahoogroups.com, wait for the response, then follow the instructions. If you’re not a computer user, try calling the DuPage Birding Club hotline at (630) 406-8111. You’ll hear a recorded message about what’s being seen and where. This is the low-tech alternative to IBET so sighting information is updated less frequently. Speaking of the DuPage Birding Club, why not become a member or at least tag along on some of the group’s field trips? There is no better way to learn about birds and birding than to spend some time with others who share your interest. You’ll see new birds, too. Visit the club website, dupagebirding.org, for more information about membership, meetings and outings. To receive a sample newsletter, call (630) 933-0387. Subscribe to Bird Watcher’s Digest or Birder’s World. These magazines, each published six times a year, will educate and inspire you. The photos alone are worth the price. Another subscription worth having is to the quarterly newsletter of the Forest Preserve District of DuPage County. It’s free for county residents and offers a calendar of activities that always includes a few birding events at local hot spots like Fullersburg Woods, Springbrook Prairie and Tri-County State Park. To sign up, call (630) 933-7085 or send an e-mail to forest@dupageforest.com. 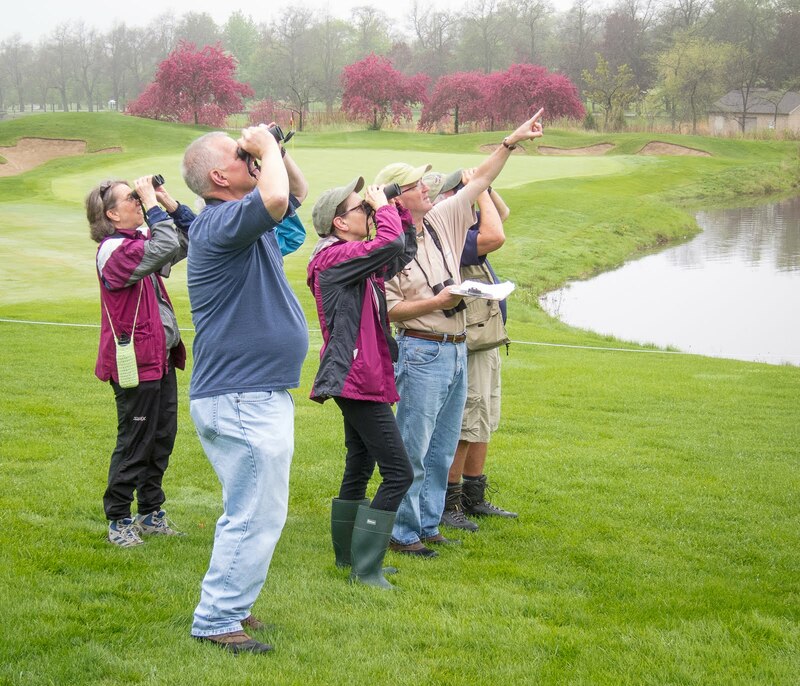 While you’re at it, ask for a copy of “A Guide to Bird-Watching in DuPage County’s Forest Preserves.” It’s a nice booklet with tips for beginners. Bird identification becomes a lot easier—and satisfying—when you know the songs and call notes. Think about acquiring some CDs. The narrated “Birding by Ear” series from Peterson is excellent. For just the bird sounds without the commentary, try “Stokes Field Guide to Bird Songs: Eastern Region.” Finally, if you’re new to birding, the Peterson “Backyard Bird Song” CD is a good starting point. It features 28 common birds.